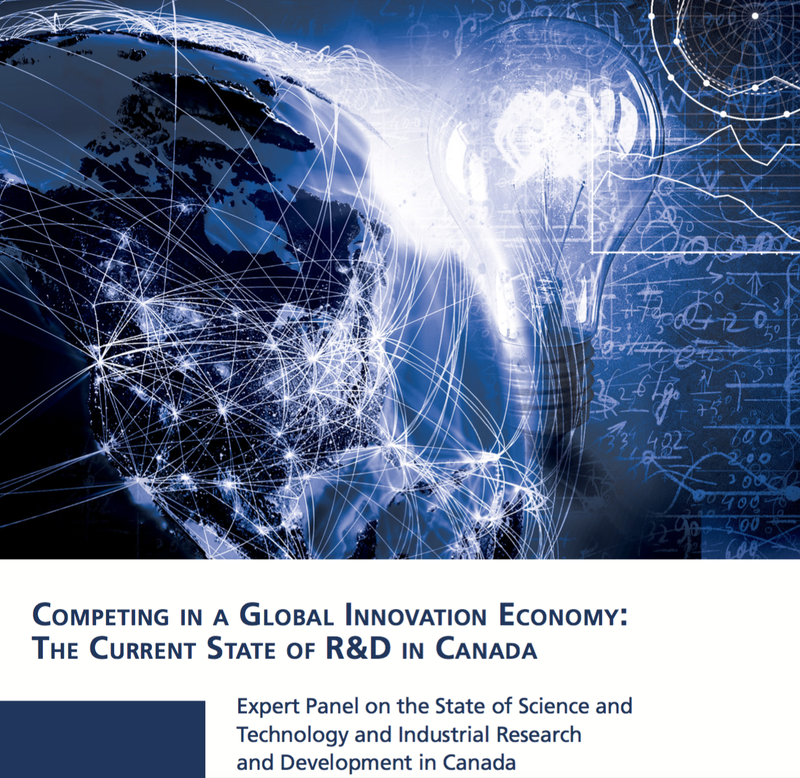 Enabling Innovation: Council of Canadian Academies launches latest expert panel report: Competing in a Global Innovation Economy: The Current State of R&D in Canada. 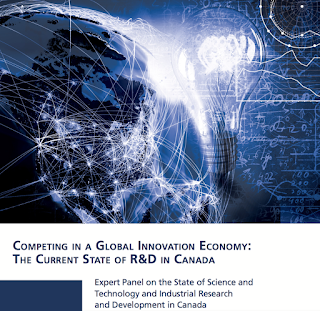 Council of Canadian Academies launches latest expert panel report: Competing in a Global Innovation Economy: The Current State of R&D in Canada. The expert panel had a wide remit, charged with considering the areas of excellence in basic research, applied research and experimental development, in both public and private sectors. Further we were asked to discuss how these inputs relate to our collective capacity or wealth creation – social, cultural and economic. The data show that Canada has clear research strengths in several areas in terms of magnitude, impact, and growth: Clinical Medicine, Public Health and Health Services, Psychology and Cognitive Sciences, Philosophy and Theology, and Visual and Performing Arts. However, Canada now stands well behind the OECD average and is ranked 33rd out of 40 countries on an index of business R&D investment, intensity, and growth. While Canada is a highly innovative country, with a robust research base and thriving communities of technology start-ups, significant barriers — such as a lack of managerial skills, the experience needed to scale-up companies, and a high rate of foreign acquisition of high-tech firms — often prevent the translation of innovation into wealth creation. The idea of connective tissue is important, as we found there are strong and growing links between academic researchers and the private sector. While there are disparities in cultures (to be expected) that are exacerbated by different motivations (academics by tenure and promotion; read: publications; the private sector by sales), these are not insurmountable, and there are positive signals to build on with respect to enhancing the retention of IP in Canada and standing and scaling up global businesses here. Fundamentally this is about ensuring the we can successfully de-risk long bets in research and capitalize on these downstream. Certainly not all paths from idea to invoice are linear nor simple, nor is every discovery immediately applicable into useful and usable contexts. But the report data show that we should all be asking what we get out of our investments in public science. 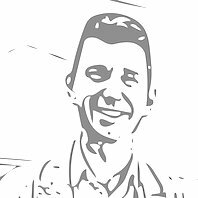 Being excellent in research that fuels other countries’ economies is suboptimally oriented toward Canada increasing – let alone maintaining – our productivity. The report is strong evidence for the efficacy of public+private R&D partnerships and the need to encourage these. Doing so across the entire spectrum of public and private sector actors will increase our collective capacity to make positive contributions to social, economic and cultural productivity. Download the report here, and check out the CCA’s microsite that provides an excellent overview of the data. As a member of this expert panel I can attest to the extremely high level of rigour that went into assembling it and performing the review and analysis of data. It was truly an honour and a privilege to be able to work not only with my colleagues on the expert panel, but also with the CCA staff, who brought to the task a dedication to excellence and exacting standards.